All right. Here's another edition of my original Awards! post! I have already recieved and passed this award along here. 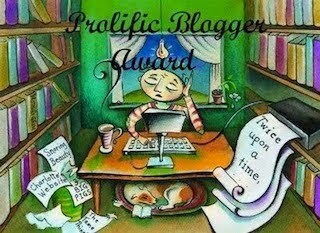 "one who is intellectually productive...keeping up an active blog that is filled with enjoyable content." wdebo @ The Electrical Book Cafe... and more! 1. I have a tendancy to do what I want, not what I should. 2. Sometimes I change my opinions to fit social norm. 3. I like being the funniest person in the room. 4. I'll sing for hours if no one is around. 6. My room looks like a 5-year-old decorated it. 7. I become unnaturally attatched to inanimate objects. And here's a NEW award that I made! I'm quite proud of it. Wow I won an award! This is the first time that I've won a blog award, I'm so happy. Thank you! 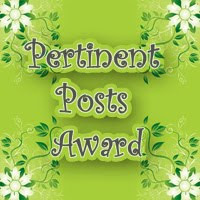 :) I'll think of my 7 pertinent blogs so I can pass on the award. Enna! Thank you so much! You're too sweet :) Congrats on your awards, their well deserved! Thank you, but I'm afraid I cannot accept the award because I am totally not a prolific blogger! Lately, I've been posting once a week, if that. I cannot in good conscience accept an award I've not been living up to. And congrats on all the other awards!! Thank you so much for the award! :) Congrats on your awards! Oh wow, I feel so loved. Thank you so much! Thank you! What a beautiful award!